Add Phellodendron X95 (95% Berberine) to your Favourite Herbs list. Phellodendron X95 is a concentrated extract standardised to contain 95% Berberine per capsule. Made from pure Cortex Phellodendri without fillers or preservatives and is freshly encapsulated for you at order or packaged as loose powder: the choice is yours. 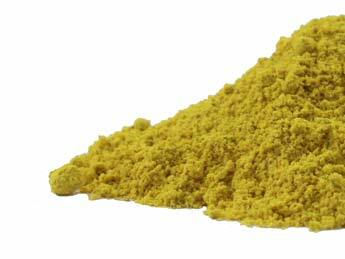 Berberine is traditionally considered by Herbalists to be cold and drying and has been a popular use Worldwide for culinary and health use. I took Berberine to improve bile function. My stools now are sinkers rather than floaters!! Berberine has been great at controlling my sugar levels. It has also begun to heal any leaky gut issues I previously had.. Very beneficial to the system and overall health. Great quality, thankyou again. I bought this with the intention of killing bad bacteria in my stomach and sealing T-junctions in my gut. It has helped cut back my incidences of nausea significantly, but more importantly it has helped me see an increase in energy levels which only oregano oil has come close to achieving. I use both each workday and have had an increase in work productivity while using it, so that I've gone up a pay grade during that time. If a $50 bottle of phellodendron can do this, it's well worth it. There is a lot of research on berberine available on pubmed, so this is one herb which is backed up by science. The main drawback is the taste, which is extremely bitter. If you can't stand bitter supplements then maybe get the capsules, but I think this works better as a powder. It seems more effective for me anyhow. For many decades I've had gastric "issues". This is the first time in ages that anything has improved them. I noticed people like Dr Michael Ruscio and Dr Grace Liu saying that some botanical antimicrobials can help balance gut flora and it seems to be working for me. Check out those sources and make a decision for yourself. My husband has a type 2 diabetes and he doesn't want to take any prescription medication. With diet and Berberine, he is feeling much better. As Roger mentioned this is actually the only company to offer 95 % Berberine in Australia. Good product and fast delivery. Well done. I have type 2 diabetes and a friend told me about Berberine. This is the only company I've found to offer such a strong extract. Got my order in 24hrs!! Unheard of.